It is now official. Vaccination by gunpoint is being carried out through the use of police force. The medical police state is being unleashed in Pakistan as thousands of children are force-fed unnecessary and dangerous pharmaceutical drugs. UNICEF, a key supplier of the vaccines, strives to eradicate polio around the world using vaccines, and Pakistani officials are making them mandatory, destroying parental rights, using force to ram their idea of medicine into the people. Reportedly, Pakistan inadvertently wasted $3.7 million worth of vaccines donated by UNICEF because of improper storage. Trying not to further waste supplies, authorities are now resorting to force, hunting down anyone who refuses the drugs. Shakirullah Khan, a senior police officer in Peshawar, says parents are allowed to go free if they agree to vaccinate their children. The officials are basically telling everyone that their body and their children’s body are not their own. Everyone’s body belongs to the authorities. All liberty and sovereignty is lost in the process. Published on February 6, 2015 amid the “measles outbreak” media frenzy, the HHS is accepting “public comment” on its Draft National Adult Immunization Plan (NAIP) until March 9, 2015. Under the NAIP, all adult American citizens will be compelled to receive current and retroactive vaccination regimens that may amount to several dozen “shots” per individual during their “catch-up” phase. Under the federally-mandated immunization schedule children presently receive 49 vaccines before the age of six. [t]he adult schedule … includes catch-up vaccinations for those adults who never initiated or did not complete a multi-dose series when vaccination was first recommended during childhood. Catch-up vaccinations include vaccines such as measles, mumps, rubella and varicella, which are routinely recommended for administration during childhood (p. 1). The NAIP is intended to supplement the National Vaccine Plan (NVP), published in conjunction with the ACA. The HHS describes the NVP as “a guiding vision for vaccination for the decade 2010-2020 and strategic direction for coordination of the immunization enterprise in the United States” (NAIP, p. 9), by highlighting the alleged public health problem posed by the low vaccination rates of US adults. “[T]he NAIP is intended to promote coordinated planning and action across all stakeholder groups,” the 52-page document reads, “[i]ncluding those within and outside of the federal government” (p. 6). In addition to the health and personnel-related agencies within HHS’ purview, such as the Centers for Disease Control and the Food and Drug Administration, other government and “stakeholder groups” include the Department of Defense, the Department of Homeland Security, the Department of Justice, the “vaccine industry” and “academic/research organizations” (p. 7). Given the frequent and serious side effects of vaccines routinely documented in the inserts accompanying them, the government appears to be waging a high stakes game with public health under the guise of prevention that will soon extend to the entire US adult population. The NAIP is unambiguous in its ambition and intent. “The vision for adult immunization is to protect the public health and achieve optimal prevention of infectious diseases and their consequences through vaccination of all adults” (emphasis retained, p. 6). The NAIP was developed in coordination with the RAND Corporation, whose services were “enlisted to review historic literature, interview stakeholders, and collect plan date to identify plan priorities and key indicators” (p. 8). HHS lists four specific objectives in its NAIP policy. The subpoint strategies of each goal are summarized below, although it should be noted that the original document contains highly detailed strategies for achieving each (pp. 11-25) . 1: Strengthen the adult immunization infrastructure. Objective 1.1: Monitor and report trends in adult vaccine-preventable disease levels and vaccination coverage data for all ACIP-recommended vaccines. In cases where there are associated Healthy People 2020 goals, measure progress toward established targets. Objective 1.2: Enhance current vaccine safety monitoring systems and develop new methods to accurately and more rapidly assess vaccine safety and effectiveness in adult populations (e.g., pregnant women). Objective 1.3: Continue to analyze claims filed as part of the National Vaccine Injury Compensation Program (VICP) to identify potential causal links between vaccines and adverse events. Objective 1.4: Increase the use of electronic health records (EHRs) and immunization information systems (IIS) to collect and track adult immunization data. Objective 1.5: Evaluate and advance targeted quality improvement initiatives. Objective 1.6: Generate and disseminate evidence about the health and economic impact of adult immunization, including potential disease burden averted and cost-effectiveness with the use of current vaccines. 2: Improve access to adult vaccines. Objective 2.1: Reduce financial barriers for individuals who receive vaccines routinely recommended for adults. Objective 2.2: Assess and improve understanding of providers’ financial barriers to delivering vaccinations, including to stocking and administering vaccines. Objective 2.3: Expand the adult immunization provider network. Objective 2.4: Ensure a reliable supply of vaccines and the ability to track vaccine inventories, including during public health emergencies. 3. Increase community demand for adult immunizations. Objective 3.1: Educate and encourage individuals to be aware of and receive recommended adult immunizations. Objective 3.2: Educate, encourage, and motivate health care professionals to recommend and/or deliver adult vaccinations. Objective 3.3: Educate and encourage other groups (e.g., community and faith-based groups, tribal organizations)to promote the importance of adult immunization. 4: Foster innovation in adult vaccine development and vaccination-related technologies. Objective 4.1: Develop new vaccines and improve the effectiveness of existing vaccines for adults. Objective 4.2: Encourage new technologies to improve the distribution, storage, and delivery of adult vaccines. Despite religious and philosophical exemptions from vaccines offered in almost every state, not to mention the abundant side effects–including possible carcinogenesis–associated with such substances, roughly 95% of American families subject their children to the federally-mandated immunization schedule. 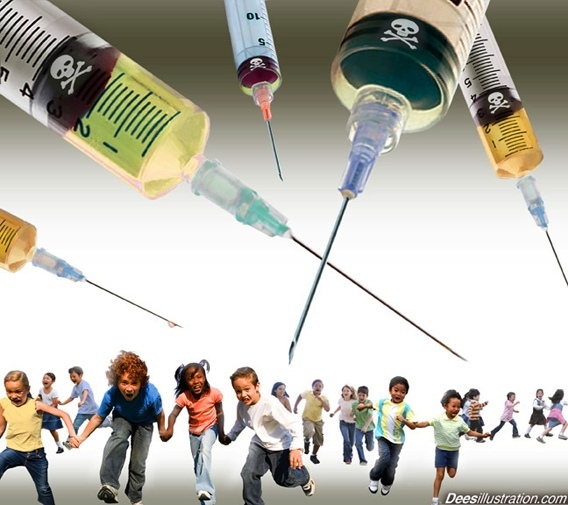 Under the NAIP, government bureaucrats and the vaccine industry are now poised to foist a similarly intensive yet scientifically dubious program on the entire US population. The official requirement mandates that all children between the ages of six months and five years who will be attending day care or preschool in New York City must be vaccinated between July 1 and December 31 of any given year. One health official claims that the rule won’t officially be enforced until the end of 2014, and a press release from the New York City Board of Health states that they will begin issuing violations on January 1, 2016. New York City already mandates that children must be vaccinated against measles, mumps, rubella, pertussis, chicken pox, and tetanus. The new mandate is expected to affect 150,000 children under the age of six. Daycare and preschool facilities will be required to enforce the mandates or they will face fines. Regardless of people’s views about the safety and efficacy of vaccines, many people would agree that it should be an individual’s right to choose – or, in the case of a minor, a parent’s right to choose – which substances are injected into their body. Well-known groups comprising large numbers of employees in New York are already opposed to vaccine mandates, including the New York State Public Employees Federation and the New York State Chapter of the American Civil Liberties Union (ACLU). In its own statement regarding vaccination, even the American Medical Association (AMA) grants approval for medical personnel to receive exemptions for vaccines due to a “recognized medical, religious, or philosophic reason,” exemptions which are more lenient than those granted to babies and preschool children affected by the NYC mandate. Also in question is whether or not the city government has the authority to mandate vaccines. City officials claim that their Health Department has “authority over all matters concerning health in New York City” through the City Charter. Recently, many Americans were outraged by the decision of officials from United Arab Emirates to mandate forced breastfeeding for the first two years of a child’s life. We knew that forcing someone to breastfeed, regardless of the benefits of breastfeeding, infringed on their personal right to make choices about their own bodies. Yet, some people fail to recognize that vaccination, the injection of foreign substances into one’s body, should also be a choice. The most recent statistics, based on scientific studies published by well-known media channels such as USA Today and The Huffington Post, demonstrate the flu vaccine’s inability to prevent the flu. Contrary to what vaccine manufacturers want us to believe, the flu vaccine will not make us healthier. An article published on the website for USA Today stated, “This season’s flu vaccine was almost completely ineffective in people 65 and older.” One source from Vanderbilt University’s School of Medicine stated, “Everyone at CDC’s Advisory Committee on Immunization Practices meeting was scratching their heads over this.” A similar article published by The Huffington Post reported an overall effectiveness rate of only 59 percent. Older adults are not the only group of people who experience few benefits from the flu vaccine. The CDC itself, when answering the question “How effective is the flu vaccine in children?” on its website, admits that “reduced benefits of flu vaccine are often found in studies of young children,” especially those under two years of age, the very age group targeted by this vaccine mandate. Influenza and similar illnesses can be caused by over 200 to 300 viruses, and some research indicates that vaccines may be most effective against combating influenza A and B, which comprise a mere ten percent of circulating viruses. 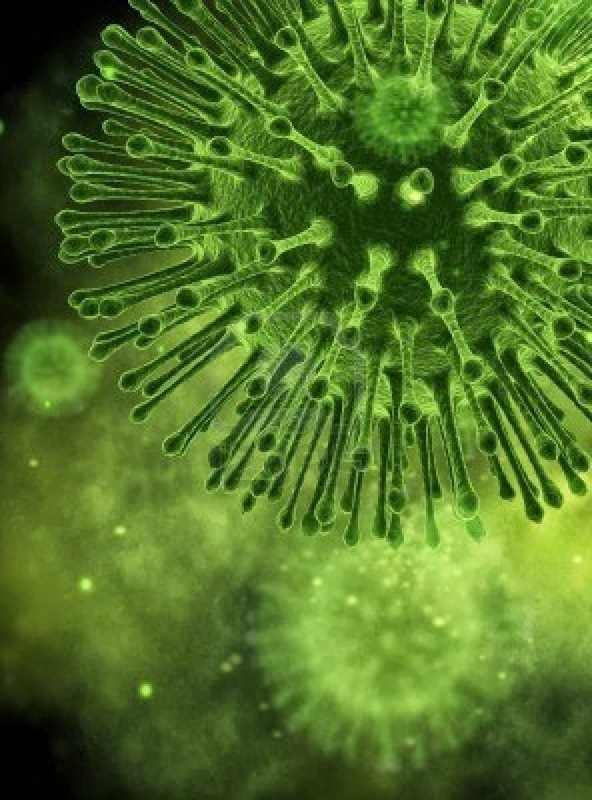 Often, people mistake flu-like symptoms for influenza, and they don’t actually have the flu. Furthermore, if you win the “flu lottery,” by actually contracting one of the three strains of flu that happens to be in this season’s flu vaccine, the vaccine will be worthless if your body hasn’t fully responded to the vaccine (which takes two weeks) or if too much time (more than three months) has passed between vaccination and viral exposure. According to the CDC, the flu vaccine contains thimerosal, aluminum, antibiotics, egg protein, aborted human fetal cells, and monosodium glutamate (MSG). Our immune systems may be unable to combat these foreign, toxic substances, especially while under the influence of very common conditions such as high sugar intake, low vitamin D3 levels, and damaged gut lining. According to a search of the Vaccine Adverse Event Reporting System (VAERS) website, in the past five years, (during the period from January 2009 until February 2014) there were 55, 578 adverse events reported to VAERS related to the flu vaccine. Of these adverse events, 7,904 affected children under the age of six. Most disturbing among these numbers are the reported 47 children age five and under who died after receiving the flu vaccine during the past five years alone. Keep in mind, vaccine injuries and deaths are grossly under-reported. Less than ten percent of vaccine injuries are actually reported, which brings the likely death toll from the flu vaccine to over one hundred children per year. Are There Exemptions for This Mandate? Yes, although options for parents who don’t wish to vaccinate their children are limited. New York State allows medical and religious exemptions, although philosophical exemptions against vaccines are not granted. Fortunately, children who attend family day cares in people’s homes are currently exempt from the flu vaccine mandate. Families should not be forced to inject their child with toxic substances. They should not be forced to receive a vaccine that is ineffective and dangerous. They should not be forced to give up their preferred choice for quality, early childhood education and care programs in order to avoid forced vaccination. Families should be allowed to make the choices for their health and well-being that are best for their family. If your child attends day care or preschool in New York City, we urge you to contact your elected officials and tell them you are against forced vaccination for your child. In addition, you may exercise your right to choose a religious exemption from the flu vaccine mandate, or enroll your child in a family day care, where they will be exempt from mandatory vaccination against the flu. Finally, whether or not your child is affected by the latest NYC vaccine mandate, we urge you to learn about vaccine legislation where you live and research vaccine ingredients. You can download afree vaccine research guide right now to protect your child from unwanted, toxic substances contained in vaccines. I think everyone knows how I feel about vaccines. My calm, (somewhat) rational opinion is this: They are, for the most part, not necessary, not working, and not safe. The lack of science—not to mention common sense—behind the dozens of vaccines injected into our children is beyond appalling. There are two things, however, that the vaccine program definitely isn’t lacking. One is money. The other is imagination. Billions of dollars are being spent on developing new vaccines. Improving vaccination rates worldwide. Ensuring that vaccines are available to everyone on the planet. All through phenomenally creative methods. We have—or soon will have—needle-free vaccines. Vaccines with micro needles. Sublingual vaccines. Vaccine patches. Inhalable powder vaccines. The old Star Trek type of vaccines. Even mail-order vaccines. Vaccines that are easier and faster to produce. No more accidental needle sticks and cross-contamination of deadly diseases. No more refrigeration or syringes. No more vaccine phobia. No more pain. No more tears. One of his latest financial donations is the subject of this article, which is perhaps the most difficult I’ve written for Vactruth. What I read as I was doing my research left me with a lot of unanswered questions and disturbing thoughts. If you’re wondering how aerial vaccines are possible, all you have to do is consider the technology that is already in place. Let’s look at three examples. If you’ve read my story, you know that the RabAvert rabies vaccine given to my grandson in 2006 wasn’t safe. (Actually, several batches used in that same year were recalled because of a partially inactivated virus.) Many people think “it’s just a rabies vaccine.” My daughter and I know from personal experience that there’s no such thing. How long does the vaccine last? What about the packets that aren’t consumed? Where do they end up? In our water? In our food? Is that safe? If the packet ruptures, can it harm plant life and crops? Can the vaccine create resistance to the rabies virus? What if a hunter kills an animal, such as a squirrel, who has ingested the bait, and eats it? The pesticide kills between 60 and 90 percent of mosquitoes in sprayed areas (depending on which article you’re reading). But there are more than a few people who don’t believe these numbers. A former EPA employee and Director of New England Public Employees for Environmental Responsibility Kyla Bennett attempted to acquire the data proving the 60 percent effectiveness rate for mosquitoes carrying eastern equine encephalitis in Massachusetts. She did not get the information she asked for. I can’t help but think of one of the recently proposed causes of autism. Household dust while the baby is in the womb—a cause that is the subject of an NIH-funded research study. I don’t understand how that can possibly be a concern to a government that maintains it’s perfectly safe to inhale aerial pesticides that are sprayed into the environment. Is a 60 percent effectiveness rate—if that’s indeed true—“effective?” That leaves almost half of the mosquitoes alive and potentially spreading the virus. What if the spray kills mosquito predators? Wouldn’t we end up with more mosquitoes? What does the spray do to our crops? Can mosquitoes and other exposed creatures develop resistance to the virus? AERIAL VACCINES ARE ON THE WAY—BUT WHY? You could read about drones, the aerial delivery of rabies bait, and pesticide spraying and learn something new with every article. I’ve explored the current technology because the information is relevant to the aerial spraying of vaccines. I’m certainly not minimizing rabies, but why spend all that money and go to so much trouble for a disease that kills one or two humans a year? It just doesn’t make sense. Not coming from a government that claims far more deaths from childhood diseases, like measles and whooping cough—not to mention the flu. The rabies virus has been eliminated. Safely. Quickly. Or so we’re told. Assuming that our ketchup packets (or some other food or our water) don’t already contain vaccines, the only obvious next step is using the drones to spray all kinds of vaccines. The MMR, DTaP, flu … No one will even know. There will be no informed consent. No declining vaccine rates—they would literally explode overnight. I’m extrapolating here, but when you think about it, it’s really not that much of a stretch. What I can’t figure out—what is keeping me awake at night—is why? What’s in it for “them?” Where’s the money? The vaccine industry as we know it is a $2 billion a year business. Will aerial spraying make it even more lucrative? The grant winners got a small piece of the pie. What about the people who remote-control the drones? The people who actually manufacture them? Or those who outfit the drones with the vaccine spray? Is this really about money? Where’s the quality control? I realize those are words we don’t usually connect with vaccines, but who will be in charge of this program? We all remember past problems—failed freezers, reused syringes, accidental needle sticks, and, of course, the time Baxter Pharmaceuticals shipped live avian flu virus (mixed with vaccine material) to medical distributors in 18 countries. So many opportunities for dangerous, if not fatal, mistakes. Could this be about power? Control? It’s so easy to scare people. Fear is powerful and controlling. You know, we have this deadly pertussis outbreak. Everybody better get a pertussis vaccine. That is, if they don’t decide to spray them on us. Or maybe they’ll encourage both methods of delivery. If you do as much research as I’ve done, you’ll end up with your head spinning. Some of my thoughts are unthinkable. Not impossible. Just unthinkable. I used to think that people who suggested vaccines as a means to population control were crazy. Now I’m not so sure. What if one exposure to a toxic chemical isn’t too bad, but after a few years, it might be deadly? What if some effects of vaccine spraying don’t show up immediately but, like the cancers caused by the 9/11 World Trade Center toxins, surface years after exposure? How many times in the past have we been told that something is safe, but years later we learn that it wasn’t true? Help me out here. What do you think is behind the aerial spraying of vaccines? The medical establishment is having trouble getting people to volunteer for new vaccine trials these days, which has prompted some in the medical industry to suggest that unwilling members of the public actually be forced to participate in order to promote the “greater good.” This is the deranged opinion of two U.K.-based researchers, Susanne Sheehy and Joel Meyer, who wrote in a recent paper published by the American Medical Association (AMA) that a policy of “compulsory vaccination” may be necessary in order to achieve the long-term goals of the vaccine cartel in achieving total vaccine compliance. The paper, which was published in the AMA’s Virtual Mentor journal, outlines a new framework by which all Americans would be automatically enrolled in a system that makes them eligible for vaccine trials should the need arise, similar to how the current jury duty selection system works. If chosen upon to participate in a vaccine trial, in other words, an individual would be forcibly required to participate, unless he or she had previously “opted out” of the system through a formal registration process. The authors argue that, because such a system of compulsory participation is already being used in many other countries for things like organ donation and jury duty, it should thus be implemented here in America to address the shortage of willing vaccine trial volunteers. The only problem; however — and it is a huge problem — is that complying with mandatory jury duty will not potentially cause you or your children to develop a neurological condition, and organ donation occurs after one has already died. But what about the health risks involved? Dr. Lucija Tomljenovic and her colleague Dr. Christopher Shaw from the University of British Columbia (UBC) in Canada recently published a paper of their own in the open-access journal Pharmaceutical Regulatory Affairs which shows that many common vaccines are linked to causing arthritis, vasculitis, systemic lupus erythematosus (SLE), encephalopathy, neuropathy, seizure disorders, and autoimmune diseases — skipping a day of work to serve on a jury, in other words, can hardly be compared to potentially developing a lifelong chronic illness as part of a mandatory vaccine trial.